This is he final post on making moss for Vue EcoSystems for my fence. I really hope it will look good now when I dug deep into it. 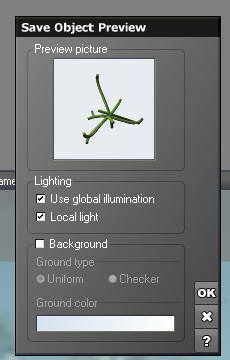 Today I also will give some look into the material system if Vue which I did promise a whileago. 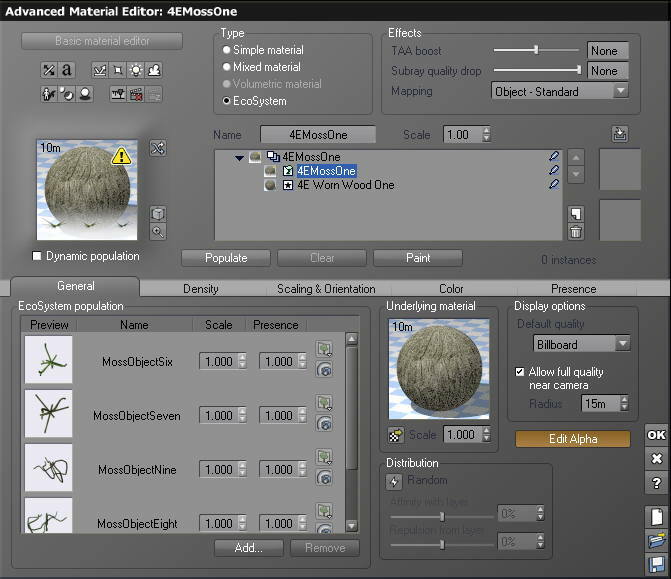 We now select one of our moss particles and select Edit Material. 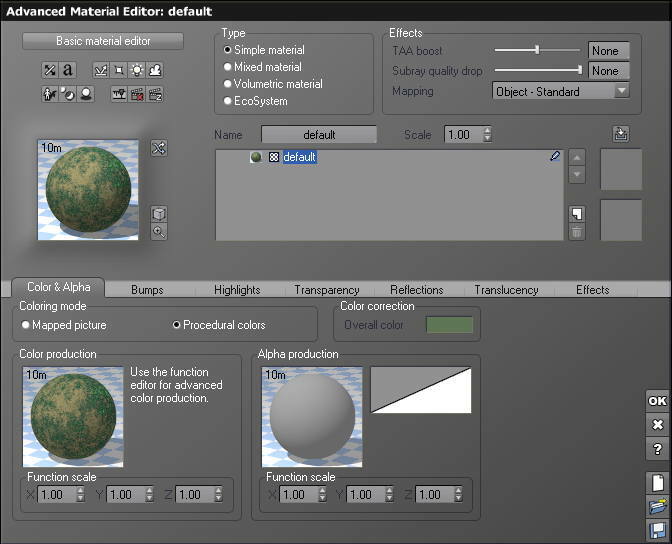 This will bring up the Materials editor, from which you can dig deeper into the function editor (where I like to be). This is what you see when you dig into the function editor of the material system of Vue. You need Vue Complete or a Vue with the AdvancedGraph module to be able to dig this deep. 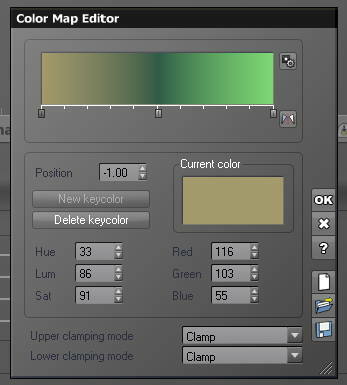 Now we change the Color Map function to a Color-Brightness Variation. This is one of many built in modules in the function editor. 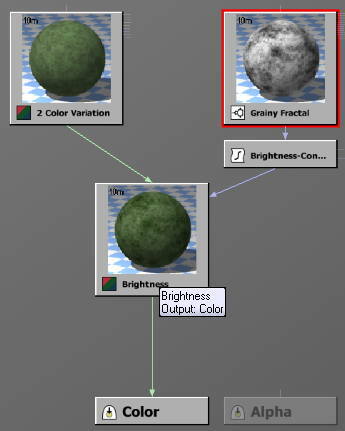 The function editor works pretty much like FilterForge, but at the same time different as you have many outputs and several different inputs, like Altitude, Slope etc to control your material, but this is s simple brainless moss particle so we do not need that right now. Now we connect the output from our node to the Color output, and the input is connected to the Position which give us the random seed for the noise used. We now save the colored moss particle as a Vue object . vob. 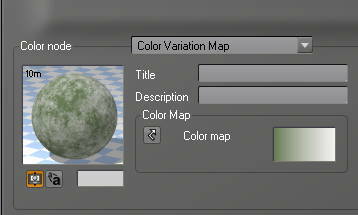 Now we open the materials editor again, and this time we select Color Variation Map, This is the default settings. 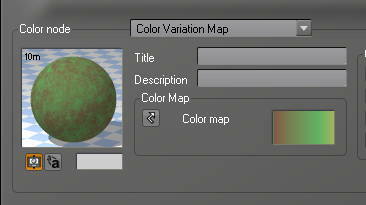 It is based out of a Color map, where it picks colors via the noise data. 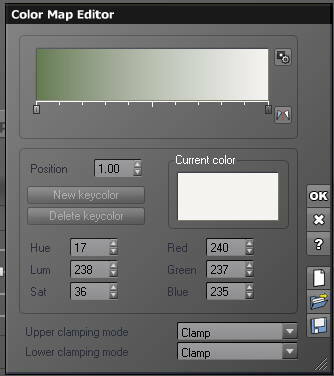 We selet edit Color map and that brings up the Color map editor panel. We change the color map to look like this, mossy in my opinion anyway. 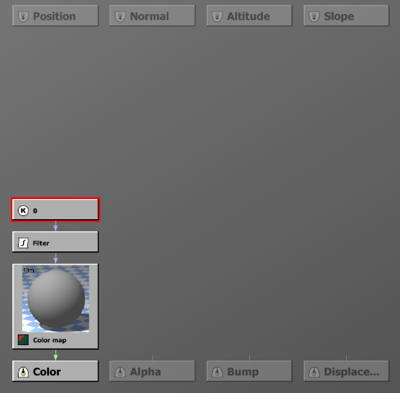 We now close the function editor and go back to the material editor (advanced version). As you can see there are many things to fiddle with. 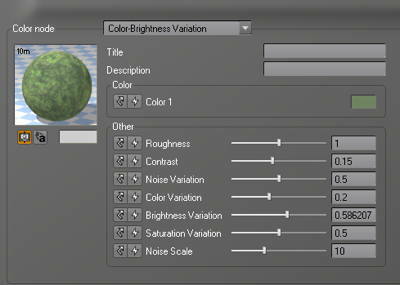 OK, we save and make another round in the editor, this time I make a more advanced material function, jus for show. It’s based on a built in meta node that I tweaked a little. Yo can build complex materials, but I really lack some of the components in FilterForge, like Tiles and ElevationGradient. Now, save and make a new. This time using another miss particle. The reason for this is that I want many different looking and different colored particles to be able to assemble moss EcoSystems with different colors. Here is another one based on a Color Variation Map, or A Gradient in FilterForge Speak. Now I have fifteen different colored moss particles based on four different particles, that would do it I think. This is the EcoSystem layer in editing. I’ve added the particles into the EcoSystem. 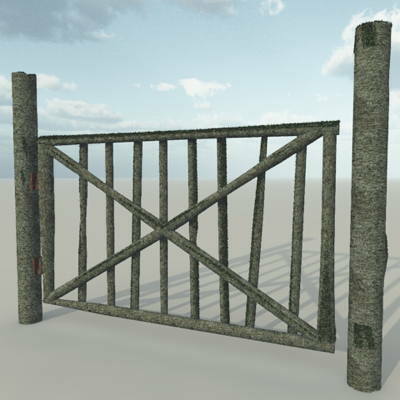 And selected the background texture to be one of the textures I made for the fences. 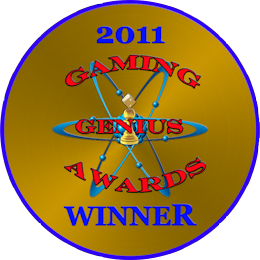 I save the EcoSystem its own material, and it will then include all the things needed including the particle objects. Here is the gate for the fence with a lighter colored moss populated. And here is the same gate but with a moss EcoSystem based on particles with darker colors. I think this went well after all. My goal is to finish more parts of the fence and more houses and some other interesting stuff and put them together and sell them in my store at Renderosity.